There are very few things that have contributed to the growth of soccer as much as the FIFA video game. It introduced fans around the world to new leagues, teams, and players. It taught people a basic understanding of different formations and how different competitions worked. FIFA has been hailed for it’s realism but the one area that may not be so realistic is the transfer market. In the video game, it’s easy. If you want to buy a player, you just offer enough money until both the club and player say yes (in recent years they’ve sometimes had the player say no). If you want to sell a specific player, you put him on your transfer list and eventually somebody will take him off your hands. In the real world, that’s not quite the way it works. The amount of money that has come into Premier League in recent years has drastically changed how the transfer market looks. A £30 million fee is now a bargain for Premier League clubs. Players can now leave teams that are competing for Champions League spots in other leagues, to go to a mid or even bottom table Premier League team because they can pay higher wages! But all of this comes at a cost. Selling players in the Premier League is no longer easy; that’s true whether you made a mistake on a signing, or you got a new manager and certain players don’t fit his plans. For a team, selling an underperforming player will usually mean taking a big financial hit on the deal. That’s not a big deal if you buy a player for £7 million and sell him £3 million, but you don’t need me to tell you that selling a player you spent £45 million on for £12 million is bad business. With the new FFP rules, teams can only spend what they bring in. If they’re taking massive hits on their transfer deals, that’s going to affect how much they can spend on new players. The real challenge is for the big clubs that pay the high wages. While those clubs could afford to take a loss on a sale, actually getting rid of the player is much more difficult. In Major League Baseball and the NHL, players with enough service time automatically get no-trade clauses in their contract. The no-trade clause gives them the right to veto any trade they want, giving them the choice of what team they get traded to. Soccer is very similar except any player regardless of age can essentially veto a deal. In American sports, when a player gets traded their contract gets traded as well. If you had three years left on your deal when you get traded you still have three years left on that deal. That’s not the case in soccer. When a player is sold to a new club, they negotiate an entirely new contract. That’s where things get really tricky for the big clubs who are paying their players’ exorbitant wages. The strategy worked initially, with City being able to sign basically anyone they wanted. That included stars like Robinho, players who had good years like Roque Santa Cruz, or even young players with potential like Jack Rodwell. When you sign that many players, not many of them are going to work out, and eventually new managers were inheriting squads with a lot of dead weight. Fans believed the solution was simple. The new manager would come in, sell the dead weight and buy their own players. That plan is based on the assumption that the players would want to leave, and the problem was and continues to be, most times they don’t. When City hands a bloated contract to Wilfred Bony, they have very few options to where they can send him. He’s not going to go to a smaller Premier League club because they can’t pay him the same wages, while the big European clubs that can pay those wages, don’t want him. Teams have tried to come up with some creative ways to get rid of players. United sent Anderson and Nani out on loan, while paying the bulk of their wages, before they could move on permanently. City did the same thing with players like Edin Dzeko and Samir Nasri. Unfortunately, other than that one move, those teams are basically stuck with the players they signed. This past summer, Jose Mourinho’s constant complaining that he wasn’t backed in the transfer market by the club’s board, especially the way his rivals were, convinced many fans that he wasn’t. Their complaints were that Pep was allowed to spend and sell off whoever he wanted. Meanwhile, Mourinho was still hampered by players like Antonio Valencia, Ashley Young, and Marouane Fellaini because United’s board refused to sell. This is a complete misconception. Guardiola has let go of many players. Some were explicitly told that they wouldn’t be playing and were given a choice, take a paycut and get sold for little, or get paid to not play. Not everyone opted to be sold, players like Willy Caballero, Gael Clichy, Jesus Navas, Bacary Sagna, Pablo Zabaletta, and Yaya Toure all rode the pine until their contracts expired and City could move on from them. At United, the situation is different. Valencia, Young, and Fellaini all play. They don’t play because Mourinho doesn’t have options, they play because he prefers them! Why would they leave? 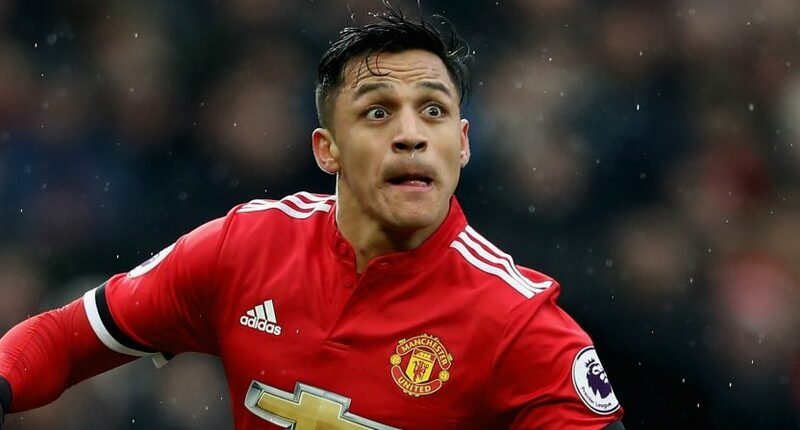 United’s biggest issue now lies with Alexis Sanchez. The player has failed to find form and many fans would be fine to see him leave. But Alexis is United’s highest paid player, something he doesn’t want to give up. Only so many clubs could afford Alexis, but no one is willing to pay that much for a player whose form will be a complete unknown. If Alexis won’t budge on his wages, both the club and player are essentially stuck. The new transfer market has created a mercenary culture within football. Player loyalty no longer lies with their club, it lies with getting a bigger contract. For Europe’s top clubs, the power is now nearly entirely in the players hands. If he doesn’t want to leave, you’re stuck. What do teams need to learn? Beware before you buy.